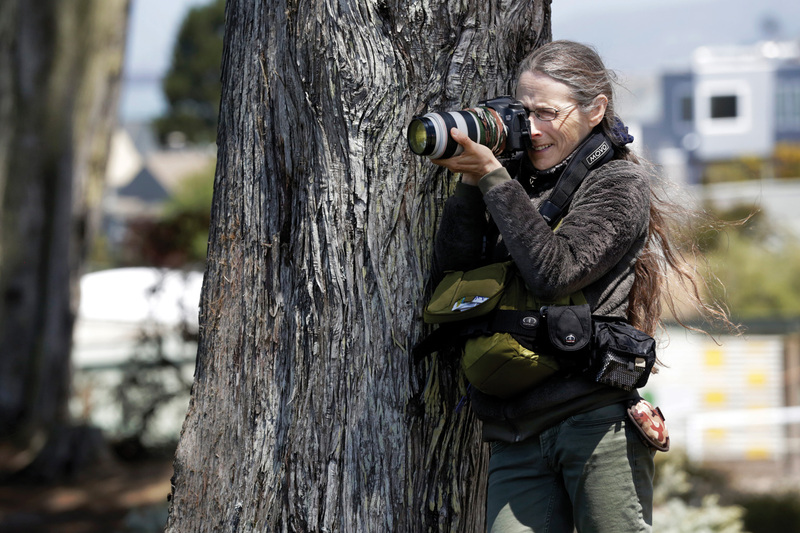 This San Franciscan has spent the last decade tracking, studying, documenting, and generally enjoying the heck out of her favorite neighbor. A coyote enjoys the sunlight in San Francisco. A coyote Kessler calls Goggles appears to be aging. A coyote tosses a gopher in the air. Coyotes play tug-of-war with a plastic bag. Coyotes run after one another. A coyote in San Francisco howls. Favorite things about coyotes: Their intelligence, curiosity and fun-loving attitude. Their rivalries and affections. Their unique personalities. Websites: Maintains both a blog, coyoteyipps.com, and a photo archive, urbanwildness.com, celebrating the wildlife of her home city and arguing for its protection.